The children range in age from 7 to 9. POLICE ARE INVESTIGATING after four children were approached by a man in three separate incidents. The approaches were made in the Kilcooley area of Bangor on Sunday and Monday, 21 and 22 February. On Sunday at around 5pm, two 9-year-old girls were approached by a man in Rostrevor Drive. He walked into an alleyway before unfastening his belt but the children did not enter the alleyway and ran home. Then on Monday at around 4pm an 8-year-old girl reported that she was approached by a man in the Kircubbin Gardens area, he asked her to keep an eye out while he went to the toilet. She said no and the man then made off towards Glastry Gardens. 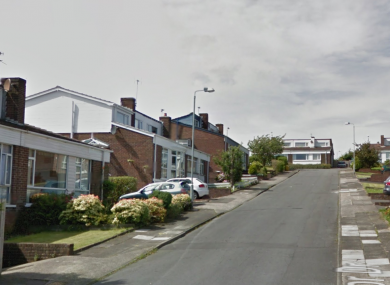 At around 5pm, a 7-year-old girl was approached while playing near her home in Glastry Court. He asked the girl to go into an alleyway and when she refused he exposed himself to her before she ran away. None of the children were physically assaulted in these incidents. The man is described as being in his 30’s and around 5’7” tall. He was wearing a blue top, possibly with red or orange stitching round the hood. District Commander, Superintendent Brian Kee, said: “These are very serious matters and the manner in which these children have been approached is utterly shocking. I can only imagine how distressing this was for the children and their parents. These incidents have caused a great deal of concern amongst parents in the area. Police would urge anyone with information on any of these incidents, or anyone who can identify who is responsible, to give that information to police so that this offender can be brought to justice. “Police officers will be patrolling the area to give reassurance to residents and to try and identify this man. If anyone sees anything suspicious, in an emergency they should call 999. Email “Reports of man making 'suspicious approaches' to children ”. Feedback on “Reports of man making 'suspicious approaches' to children ”.